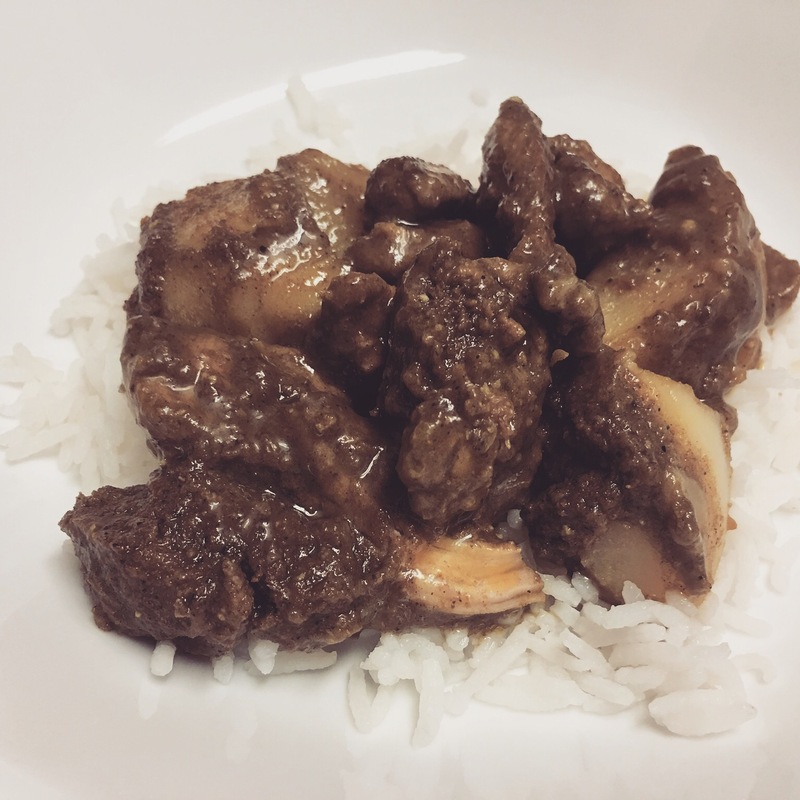 Weeknight boneless chicken curry – Hurried Home Chef! 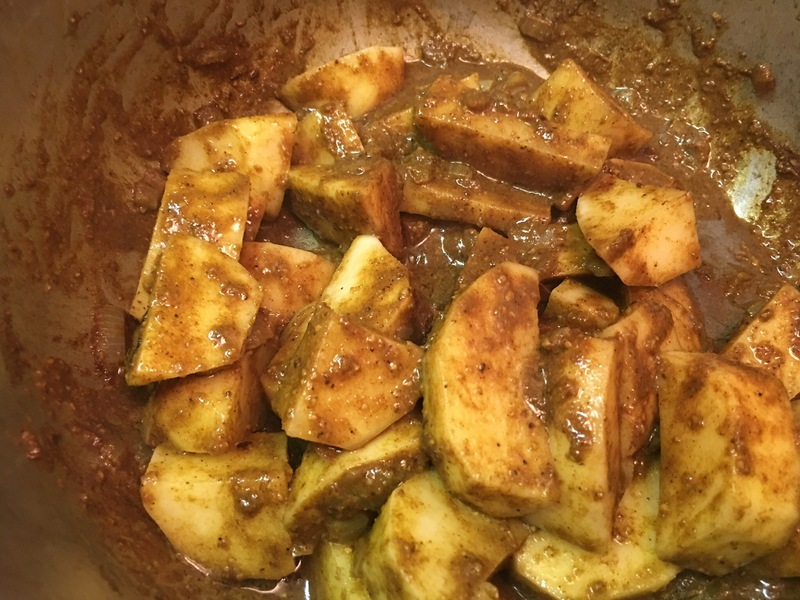 There are a million ways to make curry, I take a few short cuts when cooking it for myself or a small group. I do make it differently when there is a family occasion or a lot of people around. 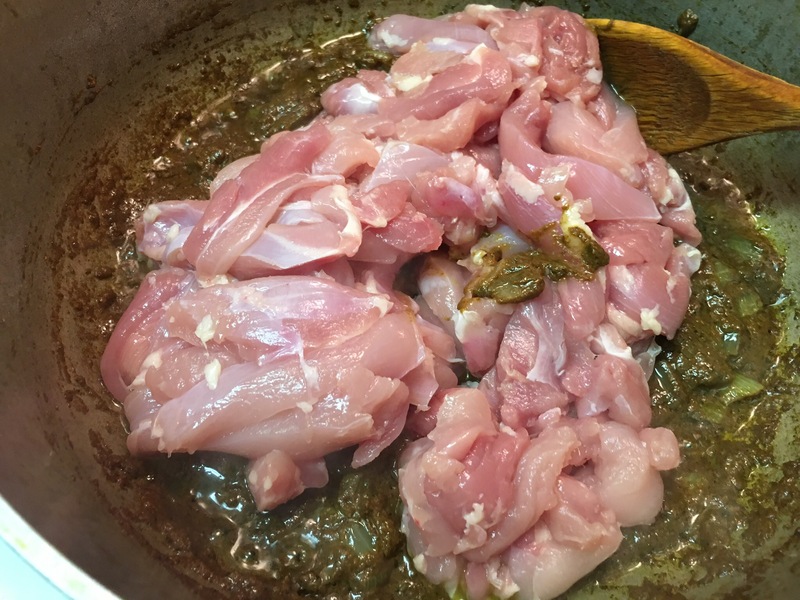 For a quick weeknight curry, I will use boneless chicken thighs. If I’m making for a crowd, I will use a whole cut up chicken. Today was a one hour curry, I started by trimming the fat and cutting into small strips. Then comes a curry paste. 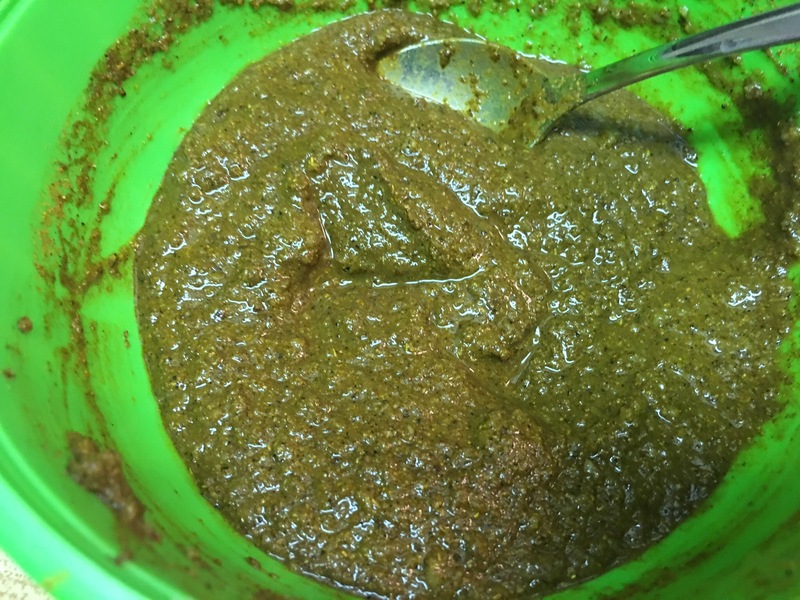 I use a premixed curry powder, a separate mixture of spices called garam masala, garlic, and a piece of habanero finely diced, and water to make it into a paste. We have a dedicated cast iron curry pot that we use. Start with veg oil of your choice, enough to cover the bottom of the pot. 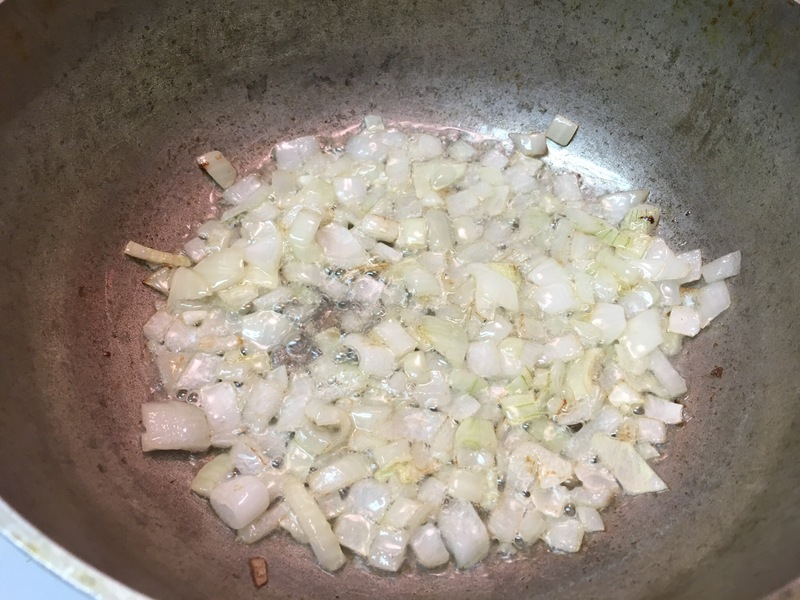 Sauté some diced onions on medium high heat, until translucent then add curry paste and cook for a few minutes. Add a little water if it starts to stick. Add the chicken and stir. Add salt about 1 tsp, I cover this now and let the chicken cook and lose water. Once you see that happen, remove the cover and let that water evaporate out. I added diced potatoes now, more salt to season, and about 1 cup of boiling water to make a sauce and give the potatoes a way to cook, cover and reduce to medium heat. Now you just need to cook it until the potatoes are done. Keep adding boiling water if it sticks, cover it so it steams, when they are cooked to your liking, use the boiling water to create the thickness of the sauce you want. I added some green onions at the end. I ate this with basmati rice. 2-3 tablespoons of pressed garlic, not the preminced stuff in the jar! NOTE: if you want to use chicken breasts instead of thighs, you should cook the potatoes first, at least half way, remove, then cook the chicken as described above, then add the potatoes back in to finish off. 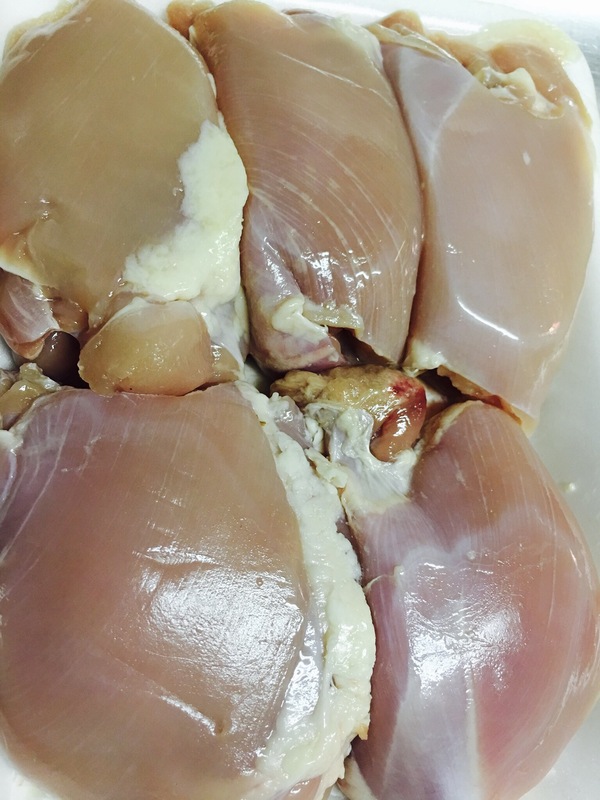 Chicken breasts will get dry very quickly. Next Post Quick weeknight meal, a few meatball dishes.